Another report from a foreign country, this one must be full of heathens as they salmon fish on the Sabbeth. I’m not sure it is my Presbyterian upbringing or that I cannot work out how they cut the lawn or iron their shirts but it just seems wrong! 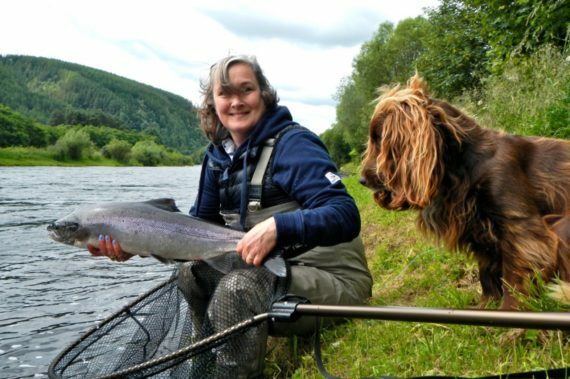 The forecast last week was reasonably accurate, the weekend’s rain pushed up the river on Monday, and there appeared to be quite a bit of Dulnain water in it. This as Spey regulars will know is that the river goes dark and the amount of surface foam increases. 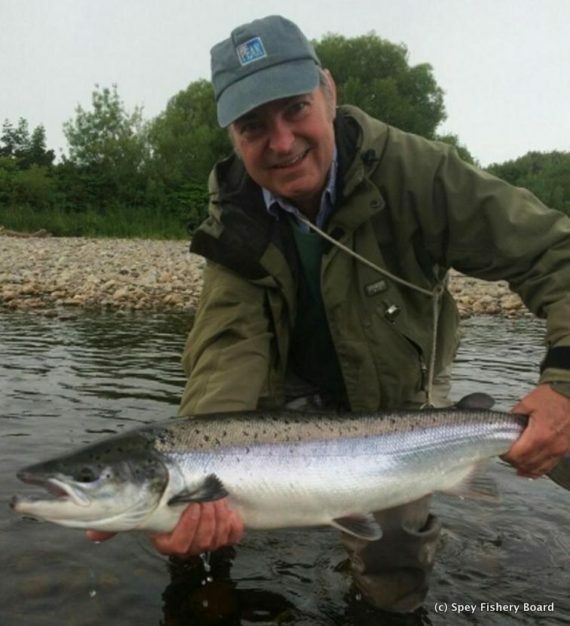 This is just the sign that the river is carrying more peat, which in turn means the PH has dropped and this in turn sickens the salmon and they appear unwilling to take. This was very noticeable on most beats. Next weeks forecast continues this summers unsettled weather, more showers and sunny periods. The tides are building all week. 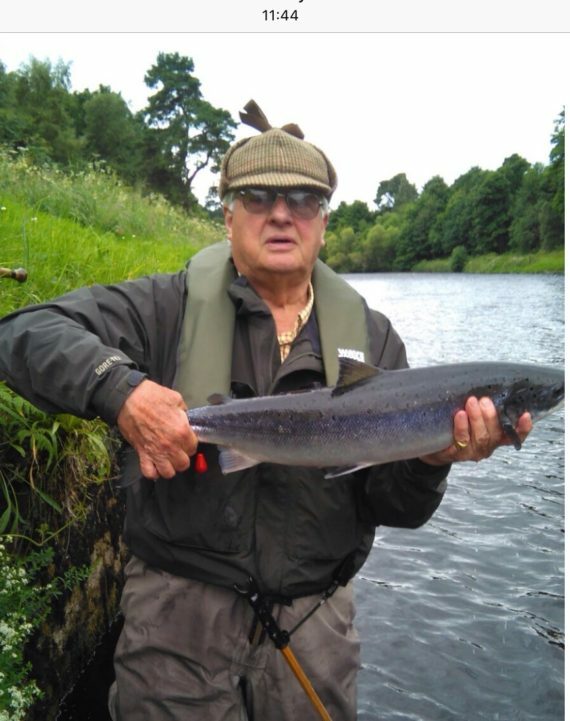 Catches: As I mentioned above the slug of Dulnain water at the start of the week seemed to put the fish off the take, everyone was reporting seeing plenty of fish but they seemed unwilling to take. 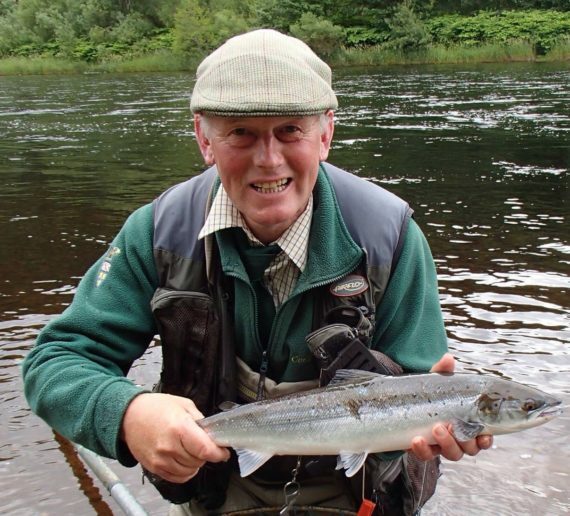 Gordon Castle was perhaps the exception to this, perhaps because the fish are straight in off the tides but they caught fish all week finishing into the mid eighties. 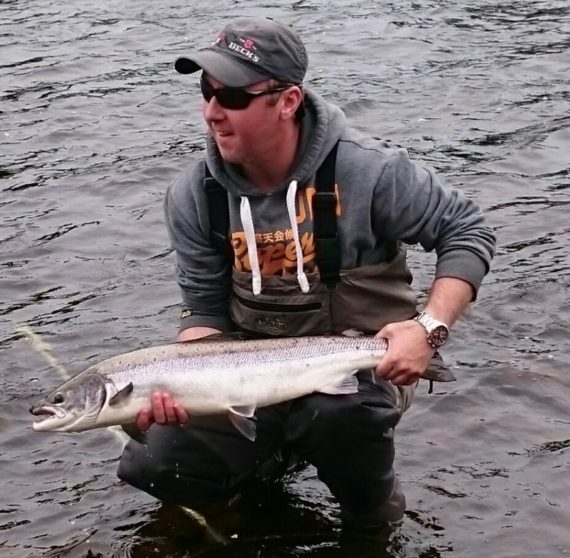 There is a good mixture of big fish in the high teens and even into the twenties with some grilse as well. Delfur finished in the mid forties though the start of the week was a bit of a struggle. Friday was the best day of the week. 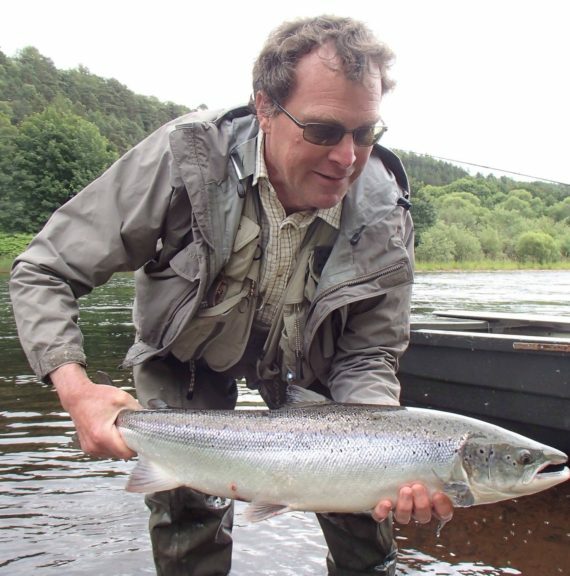 again the majority of the catch were salmon with perhaps a dozen grilse. Rothes continued their excellent season with just short of forty landed, Mike says at times it was hard going. Again about 25% of the catch were grilse. 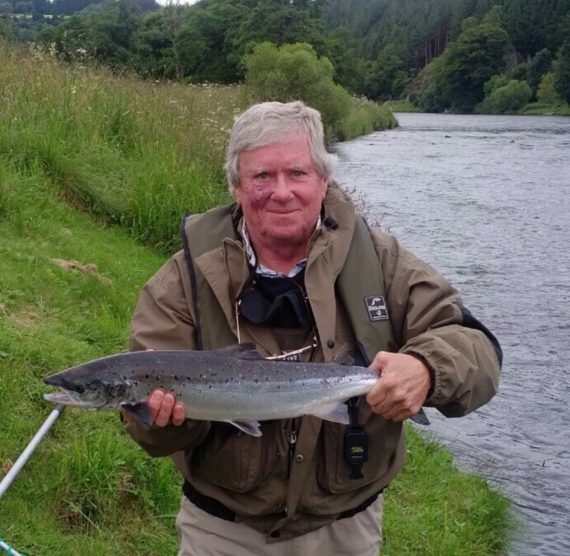 Craigellachie had another good week with close to twenty landed. Thursday was the best day of the week. 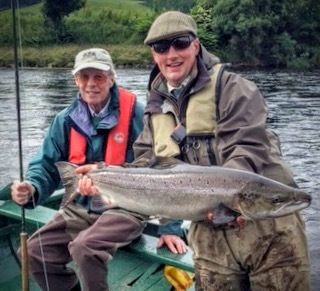 Aberlour continue their excellent season, visiting angler Stuart Mcbain had these nice fish. Kinermony had half a dozen again. Many thanks to Davie Brand for his pictures. Carron were again into double figures. 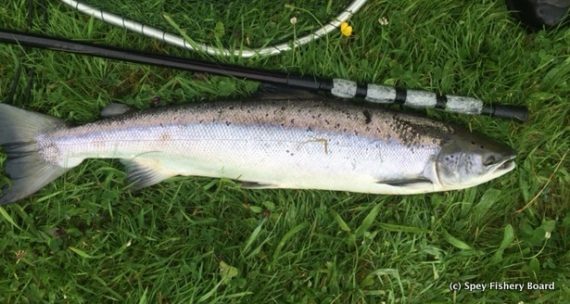 Michael Trafford, a keen seatrout fisherman, had a Seatrout estimated between 12 or 13 lb on Saturday evening. 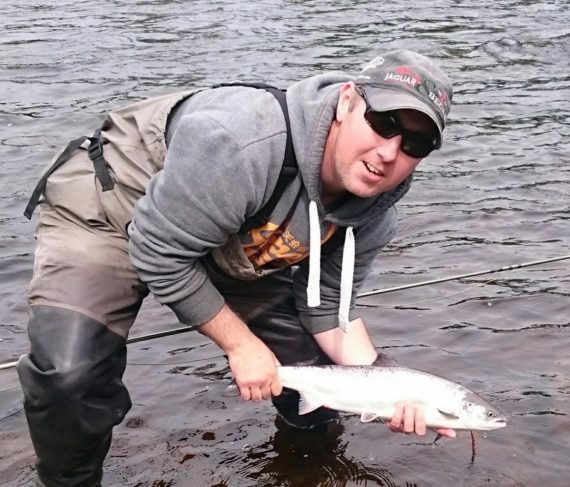 Laggan had an enjoyable week, the best fish of the week was by Angus Woodhouse. 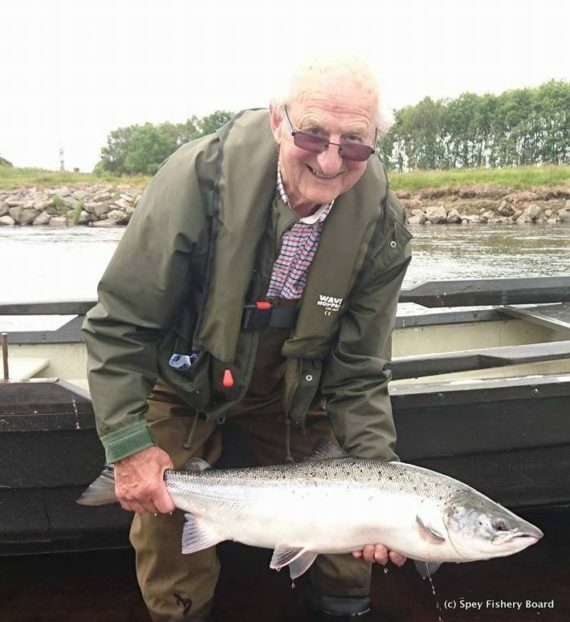 Angus Woodhouse’s fish 39 inches Laggan. 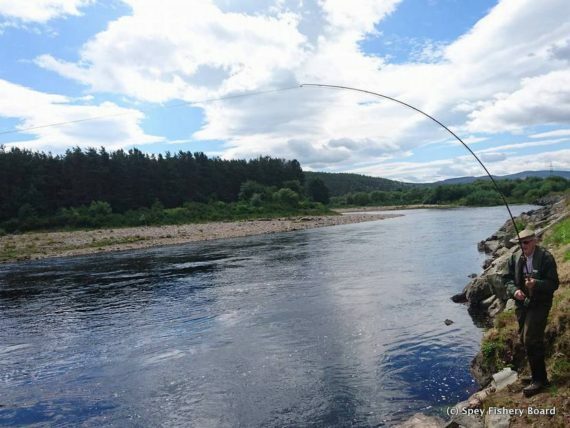 Grantown continue to catch both salmon and Seatrout, my reporter is now on holiday, but he tells me Seatrout numbers are slightly down but average weights are definitely up! I think this is the first report I have done wearing waders on a mobile phone, apologies for spelling mistakes but the screen is very little and my eyesight is failing, heaven knows what the bill will be this month. 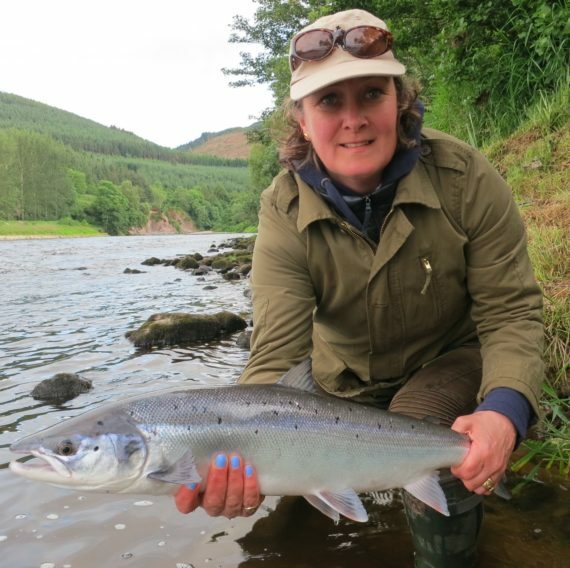 The post Week Commencing 11th July 2016 appeared first on Spey Fishery Board.